No business is too small to not be employing trusted security systems in an effort to protect against the potential of a break-in. From single floor offices to whole properties, it is essential that you ensure your security is covered. It is important for us to note that whilst many business employ the help of CCTV to watch over the entirety of their business this deterrent is simply not enough. Instead all businesses should consider additional, and more physical barriers to protect their property from the threat of unauthorised entry, as well as the reality of internal theft. 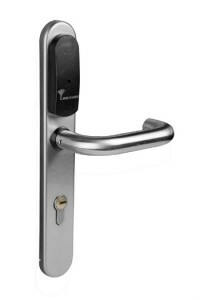 These locking systems are an excellent solution for any commercial premises. 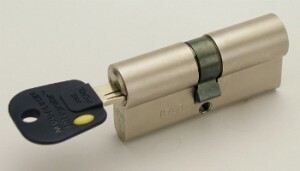 Eliminating the need for multiple keys, they allow various individuals to access different doors using just one key. Individuals are issued with a single key which will have a pre-set level of access to different areas within the building proving a versatile and flexible security solution. Working in the same vein as a regular key, the systems are easy to use and allow managers to define exactly who has access to particular areas. 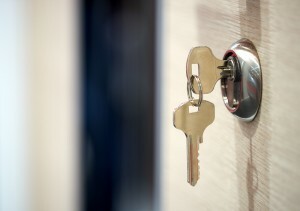 Master Key Systems are a simple and cost effective security solution which doesn’t compromise security or control. Electronic access control systems are an efficient and convenient solution to provide full control over who and who doesn’t have access to your premises. Tailor made to suit the exact requirements of the building and level of security which is required, users can gain entry using access token or PIN codes. For example, controlled doors can be automatically locked on closure and only staff and visitors with access codes will be able to enter. There is also the ability to control the entire access system from an internal central point to ensure complete flexibility of control. Whilst we highly recommend Master Key or Access Control systems it is sometimes necessary to revert back to single, traditional keys. Secure key cabinets ensure the safeguard of up to 200 keys which can be coordinated with provided colour coded hooks, key tags, rings and numbers to ensure optimal organisation and accountability for which member of staff has checked out that particular key. Whether for windows or doors security grilles are an excellent solution for eliminating external threat. A versatile option which, even when in use, allows adequate light to still enter the building, grilles are also retractable allowing you to move them out of sight when necessary. Aesthetically pleasing, whilst extremely robust, security grilles are a significantly safer option opposed to alternative methods, such as fixed bars, as they can be easily opened in the event of a fire or other emergency. Custom made to suit and fit any opening, security grilles can even help bring down the cost of insurance premiums and save money in the long term. 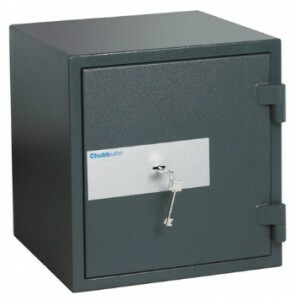 Secure sensitive data such as customer or financial information in the safety of data cabinets. Built with the highest of quality, they can provide protection not only against theft but fire and water damage too. Choose from electronic or mechanical combination locks as well as additional fitting options such as shelves, drawers and lockable cupboards. Whilst theft is a very serious threat in any commercial environment it is also important to consider alternative possibilities of data and information loss such as fire. 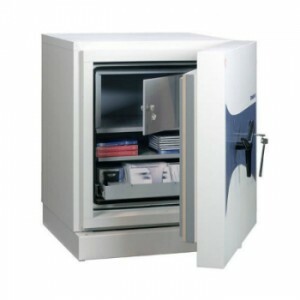 Document Fire Safes protect valuables and important documents against fire outbreak or heat explosion. 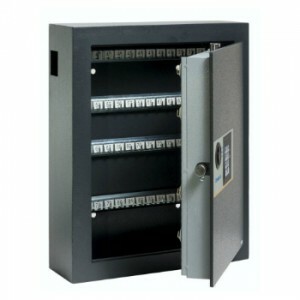 Available in multiple size options, with various fire ratings to protect the contents, these safes undergo rigorous testing to ensure that they withstand the pressure of heat as well as physical attack. Need Help Safeguarding Your Office? Our team of security experts are on hand to advise you on the most suitable security measure for your premises. We can help guide you through exactly what you need; just give us a call on 0117 963 4994 for more information and advice.